Happy Release Day -- Blood Wars 2 is LIVE! Happy Release Day to Blood Wars 2! Talisman Series lovers, the wait is over. The next segment in the Talisman saga is live! Curious what happened to Julia after her secret was discovered? Or maybe you're wondering why the vampires of the past keep popping up out of nowhere. Of course I can't forget that ever charming Phil. 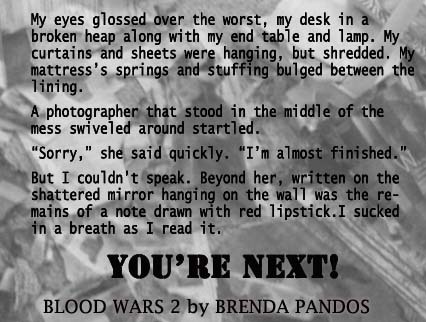 And because you're my faithful fans and followers, Blood Wars 2 be offered today for a special price of $0.99! So get on it and remember, reviews help me write the next segment faster! And I promise (since my kids are in school now) the next segment will be coming in a few weeks, so don't send out the lynch mob on me! I'll post the link on my Facebook tomorrow (once I figure it out) so you can see my pretty face. After it’s discovered that Julia’s blood carries a rare gene that cures cancer, her life turns upside down. 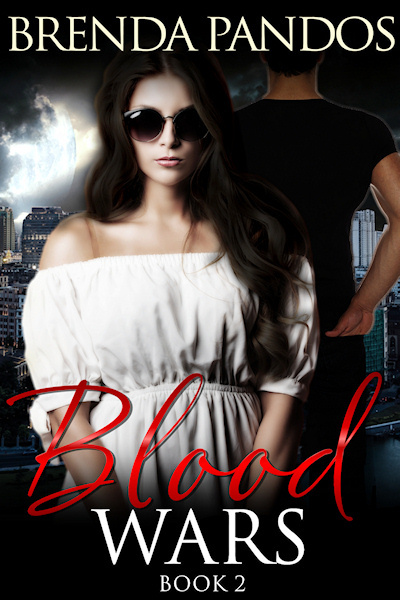 Fear that the wrong people could abduct her and sell her blood on the black market, she’s forced to be chaperoned by a bodyguard. Of course, Mr. Cruor offers sanctuary at his luxurious mansion with promises of everything she could ever want in life. But all Julia really wants is to keep things the way they are—until she’s threatened. Faces from the past keep popping up at the strangest times and the motives of their actions become questionable. Who’s really behind the threat? Do they remember the past, too? Phil believes it’s Mr. Cruor while Nicholas doesn’t. If things get really bad, Julia knows she could run away with Nicholas and her new stash of cash and start a new life far from the drama. Then again, one should be very careful of what they wish for, or they might indeed get it. Find out in the next riveting installment of the Talisman serials. 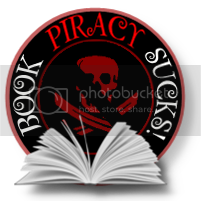 PREORDER FOR A SPECIAL $0.99 PRICE!